There’s lots to do in Barcelona. If you’re into art or history, you could conceivably spend your entire trip visiting the many museums and admiring the Catalan Gothic and Modernisme architectural works. If you love food, you can stuff yourself silly. You’re a shopaholic? Then get your credit card ready. You may not have time for anything else. If you travel just to observe people and their lives, you won’t get bored, I assure you. The crowds. The markets. The little alleys. The beaches. The parks. The late dinners. The odd shop opening hours. Soak it all in. There are seven districts, or neighbourhoods, and each has its attractions. Barri Gotic and La Rambla – walk along La Rambla with all the other tourists. Check out La Catedral, one of Barcelona’s two main cathedrals, and Palau de la Generalitat, the seat of the Catalan government. Savour the colours and sounds within Mercat de la Boqueria, and quench your thirst with fresh fruit juice. La Ribera – Wander the streets of the El Born area and try out some of the eateries. We tried one here and it was fantastic. TripAdvisor-assisted, of course. Pay a visit to the Museu Picasso, where Picasso’s earlier works are housed. Much easier to appreciate and understand, as he hadn’t entered his Cubism phase yet. Admire the stunning interior of Palau de la Musica Catalana. If you have the time, attend a performance. That way, you’ll be able to spend almost two hours just admiring the architecture, while listening to good music. Interestingly, another place to attend a music recital is in the Esglesia de Santa Maria del Mar. This Gothic church took only 59 years to build. In the 14th century, that was considered breakneck speed. For some greenery, start at Arc de Triomf and walk down into one of the city’s green lungs, Parc de la Ciutadella. There’s a zoo inside, but we didn’t check it out. El Raval – This is another neighbourhood we didn’t have time to explore. Home to Palau Guell and various museums. L’Eixample – This is where most of the Modernista buildings are. Some of the best ones can be found along Passeig de Gracia, such as La Pedrera and the three apartments which together form Manzana de la Discordia. Casa Batllo, Casa Amatller and Casa Lleo Morera were designed by three different architects, and it shows. Hold on to your wallet while you visit these sights, though, because Passeig de Gracia, along with La Rambla de Catalunya are perhaps Barcelona’s answer to Oxford Street and Bond Street. And of course, there’s the famous and as yet, unfinished La Sagrada Familia. No trip to Barcelona is complete without a visit. Take a lift to the top for a spectacular view of the city. Park Guell – Whimsical. Fairy tale. Gingerbread house. Hansel and Gretel. Those were the words swimming in my head when I walked into Park Guell. Other attractions in this neighbourhood include Camp Nou, home of FC Barcelona, and a host of other museums. Montjuic, Sants and El Poble Sec – This is the hill which hosted the 1992 Olympics. The stadium and all the sports installations are here. Go up Montjuic, either by cable car or the escalators. I would recommend going up with the escalators and then take the cable car going down. That way, you get to stroll in the gardens and visit Fundacio Joan Miro, which houses the works of the Catalan surrealist artist. Unless you’re an art major, get an audiophone, or else you won’t be able to understand anything. Admire the view of the city and the sea from Castell de Montjuic. If you have the time, visit Museu Nacional d’Art de Catalunya. Or else, like us, admire the building itself, which is stunning. – Bus Turistic, a hop-on hop-off bus service. 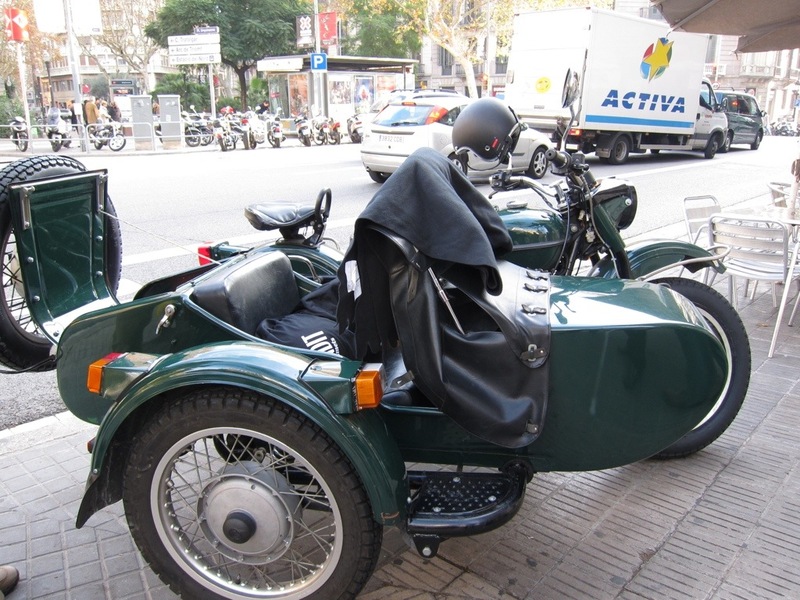 This entry was posted in Barcelona, Travel and tagged barcelona, spain, travel. Bookmark the permalink.